Ever seen a Citroën DS19/21/23? It looked like something out of a science-fiction flick when it was introduced in 1955, was still in that category when it finally went out of production in 1975, and offered high-technology features well ahead of its time. Or the Renault Twingo, possibly the greatest little sub-mini now made in Europe? I like the French. They have an individualistic sense of style that no one else comes close to duplicating. They make the world’s greatest wines, most of which I can’t afford to drink. They make cars that don’t look like any other nation’s. And, of course, they’re the masters of haute couture. The French also bring their individualistic sense of style to the loudspeakers they make. Consider the Focal Chorus 826V ($2495 USD per pair), two of which have happily resided in my listening room the last several months. First of all, this model eschews the American concept of a snappy name: "Focal Chorus 826V" is a mouthful. Nor is this speaker a tall rectangular box, as are most speakers. While it’s true that the Chorus 826V’s enclosure is a rectangular box 40.0"H x 11.1"W x 14.8"D, there’s nothing boxy about how it looks -- or sounds, for that matter. First, although it’s fairly tall and narrow, the Chorus 826V is firmly planted on the ground -- it sits on a cast-aluminum base plate that comes to a point in front, to match the prow of the grille cover. While many listeners immediately remove the grille of any speaker to which they listen, I found the Chorus 826Vs’ grilles sonically benign, and left them on for all of my listening. The speaker can be leveled using an included Allen wrench, and Focal supplies nifty plastic covers for the spikes if you want to set the Choruses on a hardwood floor -- a thoughtful inclusion. Each speaker weighs 57 pounds. The sides of the Chorus 826V are covered in what Focal calls Moka -- a very dark brown, nearly black textured finished that will fit into most decorating schemes. The top and front panels, being solid acrylic, have a smoother texture. In all, the speakers didn’t call attention to themselves; my better half didn’t object to their presence in the listening room, and made no disparaging comparisons of them with my reference Acoustic Energy Radiance 3 speakers, which are curvier and smaller. Although Focal is a French firm, they don’t tend to go in for froufrou. Many floorstanding speakers in this price category offer biwiring, but the Chorus 826V does not. I didn’t find that a problem, especially with my system -- and it saves the expense of buying two pairs of speaker cables. Of the Chorus 826V’s three 6.5" drive units, two are Focal’s Polyglass woofers (with associated front- and downward-firing bass ports), one a Polyglass midrange. The woofers are crossed over to the midrange at 300Hz, and a 1" inverted-dome tweeter takes over at 3kHz. Focal is very proud of that aluminum-magnesium tweeter, an entirely new model they’ve dubbed the TNV. As they put it on their website, "A new foam surround suspension with reinforced mechanical properties, a new configuration of the neodymium motor, an entirely reconceived design, this new tweeter benefits from all the latest Focal research." The Chorus 826V’s claimed frequency response is 45Hz-28kHz, ±3dB, with a low-frequency cutoff of 37Hz. The sensitivity is specified as a good 91.5dB/W/m -- the speaker should not require a high-powered amplifier to drive it to insane levels in a room of moderate size. However, while the nominal impedance is 8 ohms, the minimum impedance is 2.9 ohms, which means that any amplifier used with the speakers must deliver substantial amperage! In my 17’L x 11’W listening room, I found that my amp’s power output rarely exceeded a registered 3W. Focal recommends an amplifier with output of 40 to 250Wpc. I placed the Focals roughly 6’ apart and 3’ out from the front wall. I found that no toe-in was necessary -- their horizontal dispersion was quite good. They didn’t have a huge sweet spot, and worked best when positioned so that they and the listening seat formed an equilateral triangle. If I sat outside the sweet spot, the sound wasn’t bad, but within that spot it was substantially better. The Chorus 826Vs did take time to break in. When I first installed them in my system, their sound was pretty disappointing, with little life. After about 25 hours, the bass kicked in and mellowed out. After about 40 hours, the midrange sweetened to become nearly as satisfying as that of my Acoustic Energy Radiance 3s. However, the Focals’ treble remained relatively lifeless until I’d played them for about 100 hours; after that, it blossomed nicely. The Chorus 826V’s treble never became quite as detailed as the AE Radiance 3’s, but it was fully satisfactory with most music. The Chorus 826Vs outperformed Focal’s claimed low-end response. I fed them any number of bass-heavy performances: organ works by J.S. Bach; Samuel Barber’s Adagio for Strings, which is all cellos; my usual fave, Fourplay’s Bali Run (CD, Warner Bros. 26656-2); and a heavy diet of the Queen City’s (Cincinnati’s) classical radio station, WGUC, which has one of the finest-sounding FM signals of any station in the nation (and I’ve heard a bunch). The Chorus 826V had a depth of reproduction that belied its specs. When I checked it with a test disc that offers descending half-octave warble tones, the Focals produced respectable response down to 31.5Hz in my room. And though I mention a subwoofer in the "Associated Equipment" section, I didn’t find a great need to use it with the Choruses. They had a very fine low end -- though they couldn’t reproduce the lowest pedal of a large pipe organ, they offered very full-bodied sound with everything else. In fact, organ music was a delight through the Focals. I’m a fan of Pipe Dreams, a program produced by American Public Media, in Minneapolis, and often try to catch this Sunday-night staple of WGUC. The Chorus 826 Vs really seemed to relish reproducing the sounds of these huge instruments. While the AEs do a fine job (with my sub’s help), they’re perhaps are a bit too oriented toward the midrange and highs. The Chorus was superior with the bass/midbass/lower midrange that makes up so much of the sound of the pipe organ, playing lower in frequency and with greater power. Yet the Chorus 826V wasn’t bass heavy. While the speaker’s bass response was solid, its midrange was among the sweetest I’ve heard. Based on a sampling of various recordings by Mel Tormé, Manhattan Transfer, Frank Sinatra, Susannah McCorkle, Alison Krauss, and Lambert, Hendricks & Ross, among others, the Focal produced a fabulous sound with both male and female voices. And their reproduction of nylon-string guitars was especially riveting -- listening to the Los Angeles Guitar Quartet’s Labyrinth (CD, Delos 1607), I had one of those experiences of feeling as if I were in the room with the performers. On this disc the group performs, among other pieces, three of Aaron Copland’s best: the Shaker hymn tune "Simple Gifts," from Appalachian Spring; and, from the ballet Rodeo (CD, RCA Victor/BMG Classics 61667-2), Corral Nocturne and Hoe-Down. The guitars were reproduced so realistically that I was in seventh heaven! The sound was totally natural, with excellent definition of each guitar’s sound. The sound was exceptionally precise and tight. Each plucking of a string was distinct, each strum a chorus -- aptly enough. When pushed to really high volumes, however, the Chorus’s high-frequency response approached, and occasionally went into, shrill overload. At normal volumes, the highs were certainly distinct, but if you want to listen to rock at lease-breaking volumes (thank goodness, we own our home), the Chorus could sound a mite harsh. Still, at less-than-threshold-of-pain levels, they sounded crisp and clean, and I felt they performed at stellar levels with most types of music, especially anything acoustic. They especially liked small jazz combos and chamber music. My overall impression was one of a speaker that sounded pleasant, with a revealing midrange, but that could be somewhat upset by too much high-frequency input. My reference system consists of a pair of Acoustic Energy Radiance 3s ($3000/pair) and, for a bit of bass boost, a PSB 5i subwoofer. The AEs, as good as they are (and they’re fabulous overall), need the help of a sub to provide full bass response -- they run out of steam at about 40Hz. The Focal Chorus 826V offered a more full-bodied sound, as you might expect from its larger bass drivers and enclosure. 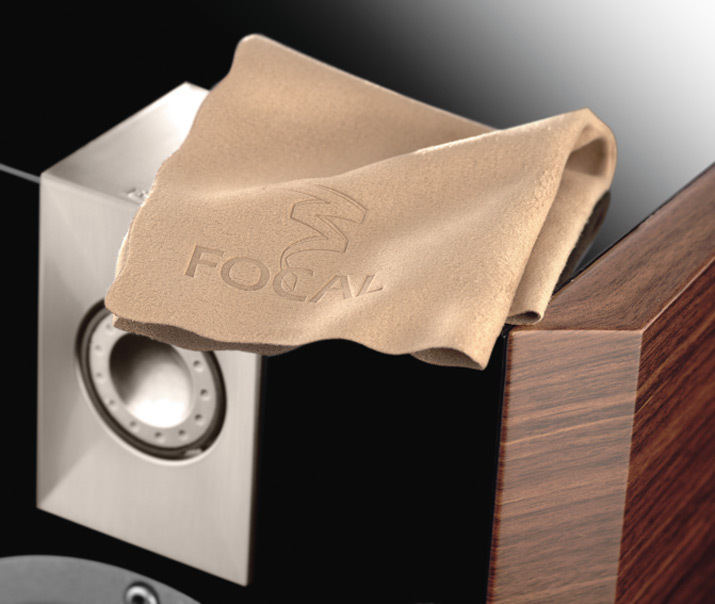 As noted above, the Focals offered respectable in-room response down to about 32Hz, which will fulfill the needs of most listeners (a four-string double bass or bass guitar bottoms out at 41Hz). However, the AEs offered a smoother, less sibilant sound at the top end, and produced higher volume levels without sounding strained. The Focal Chorus 826Vs sounded very fine with nearly any music I threw at them. To paraphrase the old song, I found them delightful to look at, lovely to hear. They seem to be French down to their very souls: distinctive, attractive, artistic, individualistic pieces of art. 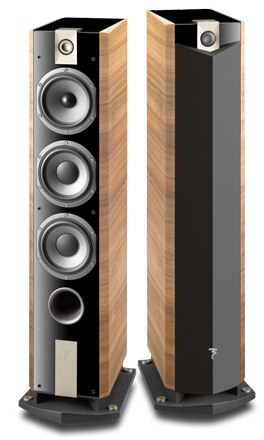 And for $2495/pair they’re an excellent value, and among the best speakers I’ve heard. Especially if your musical tastes run toward the intimate (and how French is that? 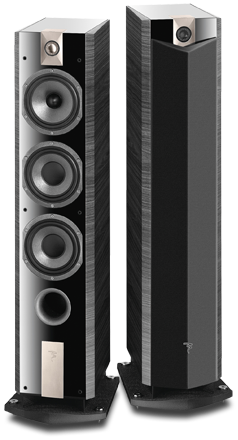 ), you absolutely must see and hear the Focal Chorus 826Vs. 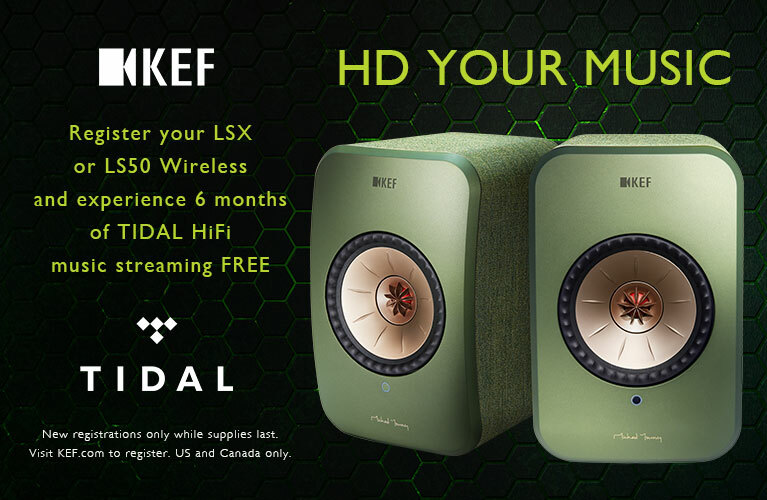 They very well could be your next speaker system.